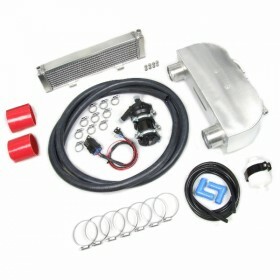 Lotus Elise side-mounted chargecooler kit for supercharged Rover K-Series or Toyota 2ZZ-GE engined cars. Also compatible with Turbo Technics TT190 and TT230 installations. Championship-winning, race-proven technology developed by Hangar 111. Chargecooling to reduce inlet temperatures is the key to durability in Supercharged applications and the side-effect of that is the ability to achieve higher levels of performance more safely. 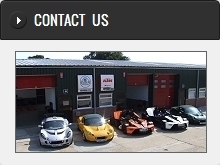 Designed to fit neatly under the rear-wing of the Elise. Some additional pipe-work may be required depending on application. 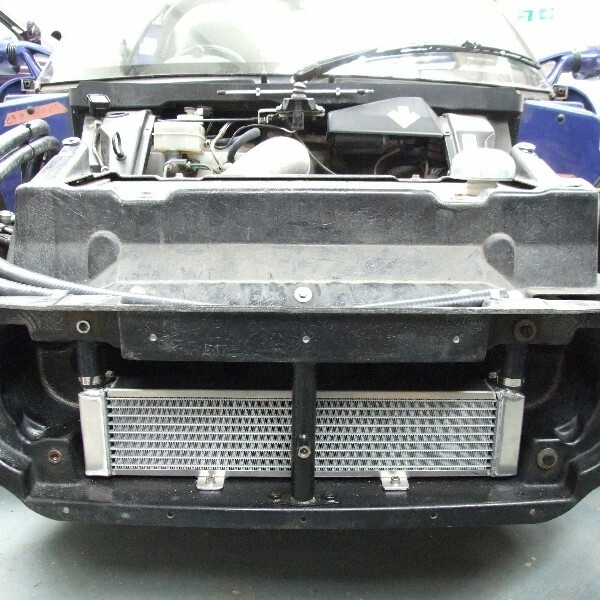 The pre-cooler is mounted in the front of the car and this requires the front clam-shell to be removed. Pre-cooler does not interfere with radiator performance. 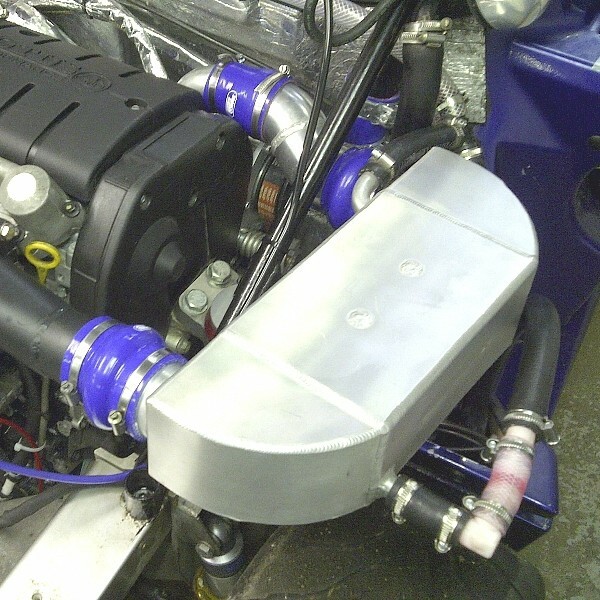 Dave Harvey, winner of the Lotus Cup Europe Open class in his superlightweight 340R runs a Hangar 111 Supercharger with our racing chargecooler system installed. This Elise chargecooler system has been developed with the same design ethos as our racing chargecooler and achieves considerable reductions in temperatures while having minimal boost restriction.